From March 1st to the 3rd, C2Monster exhibited Wormhole and its storyboard software at the Game Developers Conference (GDC) 2017 in San Francisco. The company received high interest from participating companies, including Psyop, Oculus Story Studio, and Bandai Namco Entertainment USA. 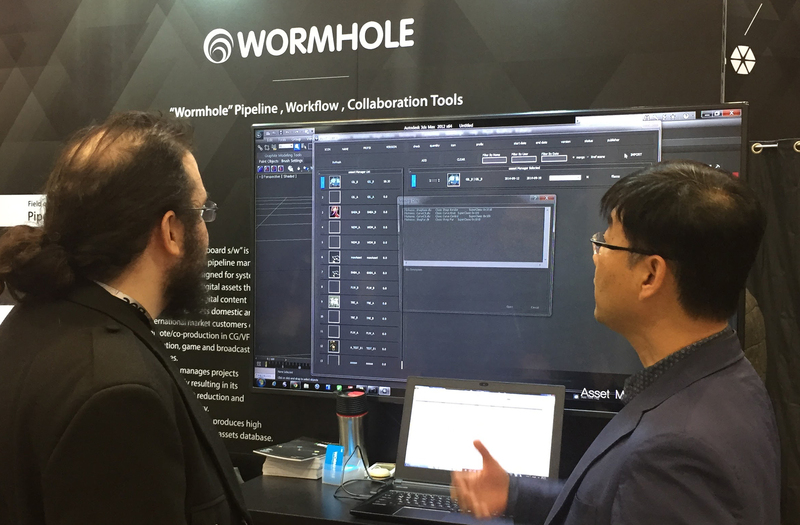 Other pipeline software users were also deeply interested in Wormhole’s user-focused functions, competitive price, support and direction for future development, and asset data management. Mobile 3D APP, which will be launched in the second quarter of 2017, proved particularly appealing to GDC attendees. For further information about Wormhole, please visit www.wormholepipeline.com. We hope to present an improved version of the software at the next exhibition.